Chance The Rapper in Montreal or Quebec City? Inform me about the next events for Chance The Rapper. Enroll yourself to our priority waiting list for Chance The Rapper to be alerted when new tickets are available. Filling this form doesn't engage you to any purchase. Chance The Rapper will be coming back to Montreal on May 25th, 2017 for a concert at the Bell Centre ! 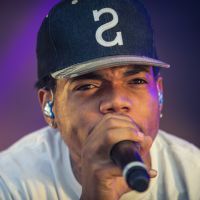 Last February, Chance The Rapper shocked the world at the Grammy Awards, when he won the Rap Album of the year for his latest mixtape Coloring Book, as well as the New Artist Grammy award. Last time Chance The Rapper came to Montreal was back in October 2015. He performed at the Olympia. Don't miss Chance The Rapper at the Bell Centre in May !